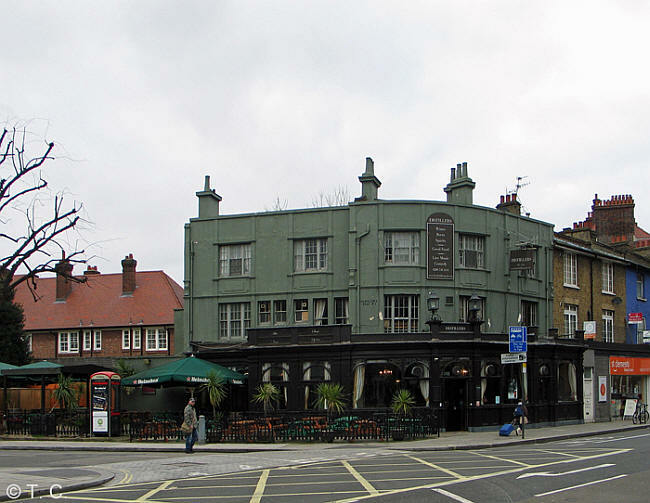 The Distillery Arms, 7 Devon terrace in the 1871 & 1881 census. At 64 & 66 Fulham Palace Road from at least 1919. Now called the Distillers (2014).